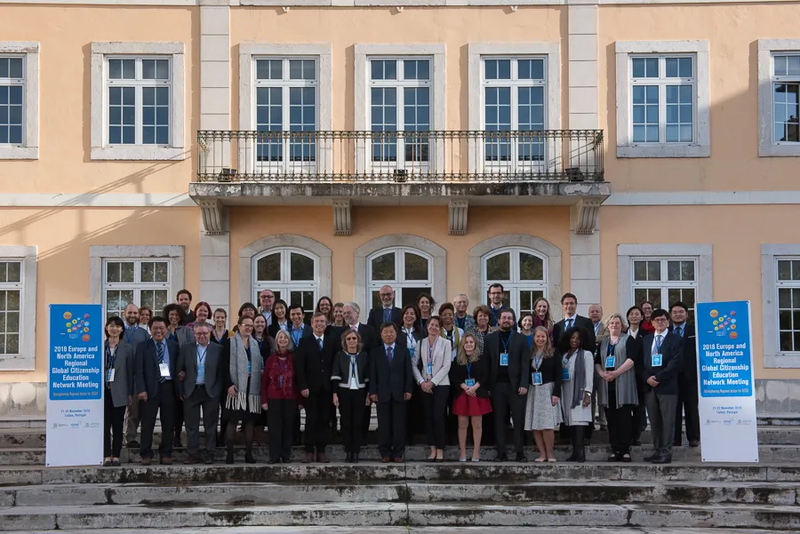 On 21 and 22 November the Europe and North America Regional Global Citizenship Education Network Meeting took place in Lisbon. The meeting was co-organised by the Asia-Pacific Centre of Education for International Understanding (APCEIU), the UNESCO Venice Office, and the Global Education Network Europe (GENE), and in cooperation with UNESCO Headquarters. Alexandra Singpiel (AFS GER) and Hazar Yildirim (AFS International) took part and represented AFS/EFIL. By bringing together stakeholders from national ministries, international agencies such as UNESCO, academia, and civil society and NGOs the meeting aimed at exploring areas of possible collaboration, including creating a European-North American platform allowing for exchange on the topic of Global Citizenship Education, which is included as objective within the Sustainable Development Goals (SDGs). AFS through its mission and work is actively contributing to achieve this goal by 2030. However, implementation of global citizenship education is easier said than done – one of the things discussed during the meeting were the challenges different actors face when implementing global citizenship education. As a next step it was elaborated how a network could potentially help to create more outreach and advocate for common goals, also learning from other regions of the world where networks have been established and are functioning for years. It was a great opportunity to present AFS’/EFIL’s work in the field of global citizenship education and get in touch with a variety of actors. AFS decided to join the steering committee for the creation of the network, ensuring that the voice of NGOs is heard and our expertise used.